The "Friday Finds" meme is hosted by MizB at the Should Be Reading blog. She asks "What great books did you hear about / discover this past week? Share with us your FRIDAY FINDS!" 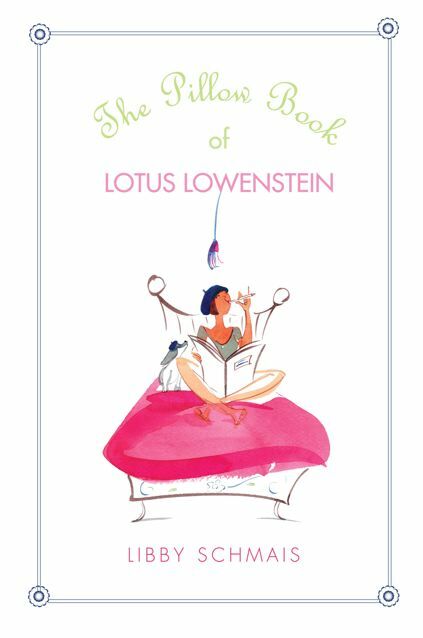 This week I received two review copies of new Jewish-interest YA novels from the publicists at Blue Slip Media, and they look like they'll be a lot of fun to read:Lotus Lowenstein's life is merde. She dreams of moving to Paris and becoming an existentialist. Yet here she is trapped in Park Slope, Brooklyn, with a New-Agey mom, an out-of-work dad, and a chess champion brother who dreams of being a rock star. Merci à Dieu for Lotus’s best friend, Joni, who loves French culture enough to cofound their high school’s first French Club with Lotus. At the first meeting, the cutest boy in the world walks in. His name is Sean, and he too loves French culture and worships Jean-Paul Sartre. Queen of Secrets by Jenny Meyerhoff (FSG, 2010). I interviewed this author briefly at a party at the Planet Esme Reading Room last summer; you can hear the interview in the episode Planet Esme! The key thing I recall from this interview is that the story is loosely based on The Book of Esther, as was recent adult novel Good for the Jews. A new trend, perhaps? This year, Essie Green’s life is going to be different. She’s made the cheerleading squad and caught the eye of the captain of the football team. However, she didn't expect her estranged cousin to join the football team. Micah is instantly branded a freak for praying during games, and Essie doesn’t want anything to do with him. As the football team’s teasing of Micah shifts into hazing, Essie is forced to make a choice between the boy she might love and the cousin she barely knows. I thought it would be seasonally appropriate to share with you the starred review I wrote about The Little Red Hen and the Passover Matzah for School Library Journal. This is a delightful new Passover story, that I used successfully with several Kindergarten and first grade classes in our religious school recently. For more info about author Leslie Kimmelman and her books, see www.lesliekimmelman.net. KIMMELMAN, Leslie. 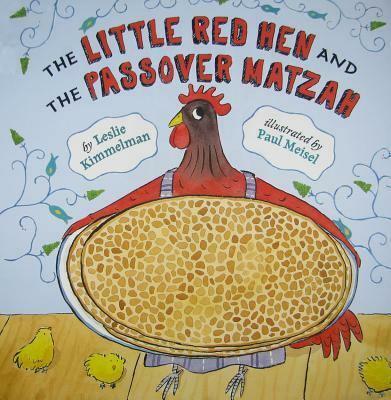 The Little Red Hen and the Passover Matzah. illus. by Paul Meisel. unpaged. glossary. CIP. Holiday House. Mar. 2010. Tr $16.95. ISBN 978-0-8234-1952-4. LC 2008048488. I just had to participate because this very Friday morning I found a wonderful new book awaiting me in a package on my desk in the library: First Rain by Charlotte Herman, illustrated by Kathryn Mitter (Albert Whitman). It's a simple, straightforward story about a little girl whose family makes aliyah (moves to Israel). Through the exchange of letters with the Grandma she left behind, we learn a little bit about Israel, a little Hebrew vocabulary, and a little about dealing with moving. It's not preachy, it's a good match with its intended audience of 1st through 4th graders in terms of emotion and writing style, and the illustrations are clean, detailed, and give a good sense of place. As is appropriate for the audience, politics are NOT included. There are few picture books on the subject of making aliyah, and those of which I'm aware have to do with the airlift operations that rescued Ethiopian Jews. This is the first book I've seen that features a middle-class, non-Orthodox, North American Jewish child making aliyah. As a librarian in a Reform synagogue in South Florida, I know that this book will make sense to the readers I serve. My thanks to Charlotte Herman for filling a niche that so badly needed it! Scribblers on the Roof is an online forum for Jewish fiction and poetry at jscribes.com. In this interview with founder Kelly Hartog, we get a virtual tour of the website.